i stayed for another night in penang after i bade goodbye to docgelo, tina and gabby as they went back home to their rented condominium in butterworth. my flight to kuala lumpur is scheduled at mid afternoon the next day so i had the chance to check the nightlife at georgetown. 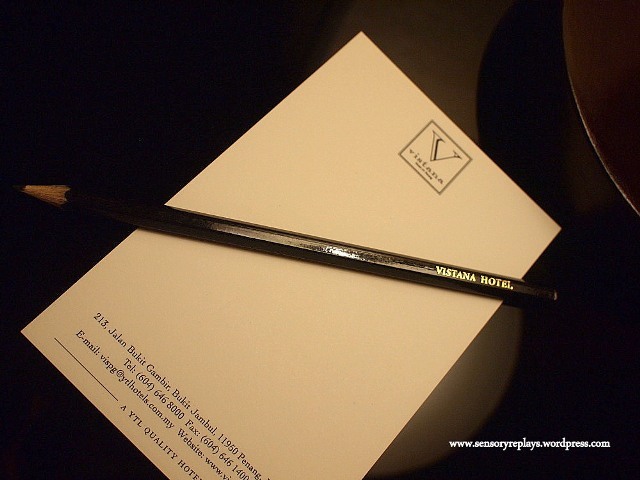 from tune hotel, i decided to transfer to another accommodation for a one night stay in vistana hotel. this hotel was suggested by an indian cab driver after asking him which was the nearest hotel at the airport. he drove me to the hotel and i checked in as a walk-in guest, i was given a deluxe room number 1602.
the room is clean and has complete amenities that one needs for an overnight stay. satellite television with entertainment channels and high-speed internet was available in the room. the buffet breakfast was average and pescetarian friendly. 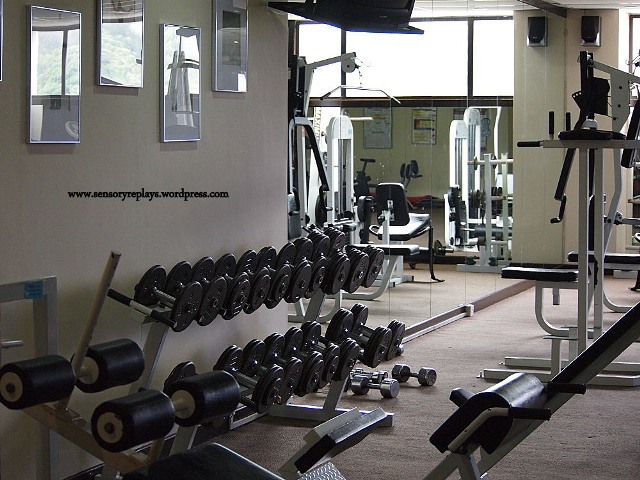 the gym was fully equipped and they also have a swimming pool which are all well maintained. 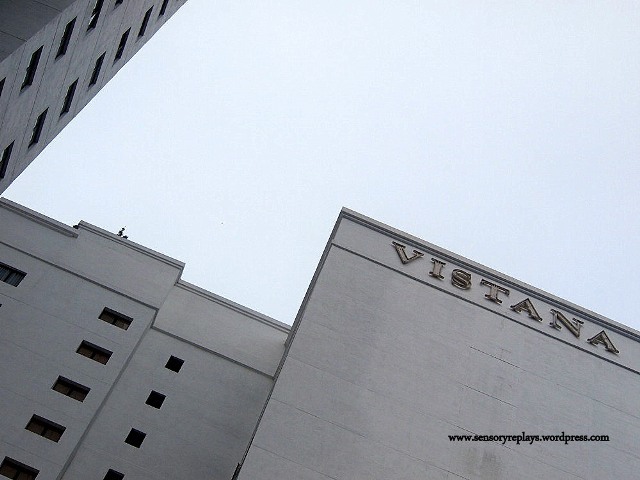 the staff at vistana are all courteous and helpful. the limousine service to the airport was quite expensive for RM29 but i did not want to sacrifice myself being drenched in the rain that suddenly poured when i was about to check out – i noticed the rain had always followed me during my trip! 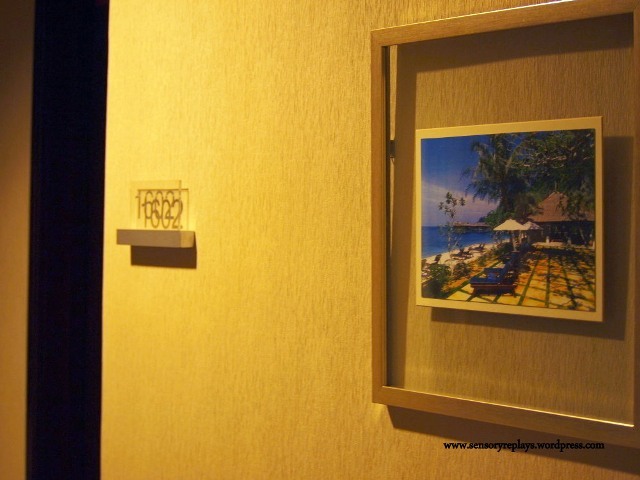 This entry was posted in been there and tagged cuti-cuti malaysia, docgelo, malaysia, penang, penang accommodations, penang hotels, vistana hotel penang, vistana hotels. Bookmark the permalink. i love the bed, rob! so this was your ‘other’ hotel. but where’s the photo of your breakfast? PS : do check out your email, i sent you photos of our soon-to-be-rented-new condo by july. .. yes this is it, haha! blame it with the “tiger beer” of malaysia! .. did not took a photo doc, i got too lazy bringing my camera to the dining area. will be posting my food adventure in kl. hhmm. better than the previous one. safe pa! hehe. wow! ang ganda naman ng hotel mu rob. mayaman ka nga talaga as per chyng! hehe. i wish i had met docgelo din. actually i stayed in georgetown but according to my guidebook, it’s also known as penang to tourists. will stay tuned for your malaysia series. .. gael kung mayaman ako uuwi na lang ako sa pinas! haha. sayang nga di mo nameet si doc, at sayang din at di pa nagkatugma yung punta natin sa malaysia. you take great interior shots. i can never get shots like that of hotel rooms. .. it’s also accessible with public transportation wits, highly recommended. nice hotel! it’s good they have free rooms to accommodate you. 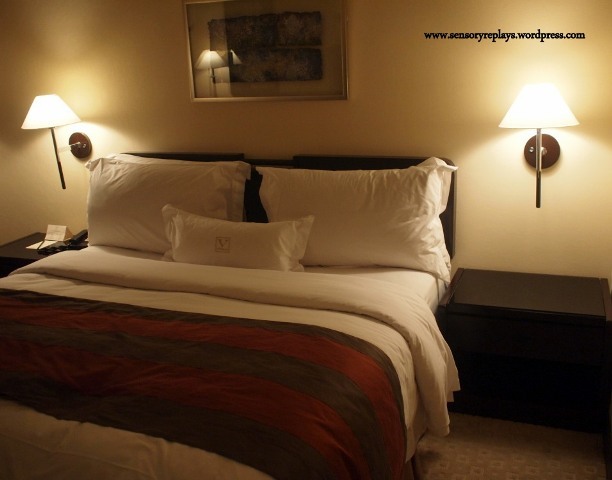 .. it’s only P2500 per night sheng, you can’t find a hotel like that low-priced in manila. .. yes claire, always glad to help.